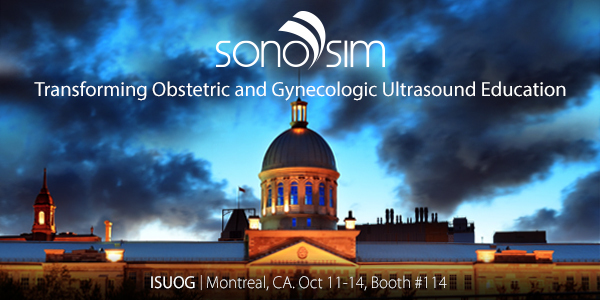 Join us at ISUOG’s 25th World Congress on Ultrasound in Obstetrics and Gynecology and experience firsthand how the SonoSim® Ultrasound Training Solution can be used to seamlessly integrate point-of-care ultrasound education into your obstetric or gynecology program. Obstetricians and gynecologists are constantly utilizing ultrasound in their daily practice to perform maternal and fetal imaging, as well as to evaluate various deep organs and superficial anatomical structures. Bedside ultrasonography is a relatively inexpensive, safe, and noninvasive diagnostic tool with many medical indications. The SonoSim® Ultrasound Training Solution is a portable, virtual ultrasound training experience, utilizing real patient cases with a broad spectrum of normal and pathologic conditions. Use the SonoSimulator® to scan a myriad of normal and abnormal sonographic conditions, perform ultrasound-guided procedures, and experience first-hand how SonoSim LiveScan™ seamlessly recreates ultrasound pathology in healthy living volunteers and patient simulators. 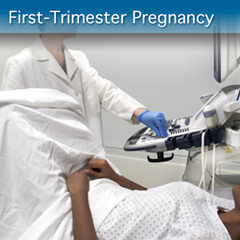 SonoSim has released the First Trimester Pregnancy: Advanced Clinical Module, and Parts I and II of Second & Third Trimester Pregnancy: Advanced Clinical Modules are scheduled for release in Q4 2015. Each Module provides an in-depth review of the sonographic evaluation and monitoring of normal developmental and pathologic conditions that arise during various stages of pregnancy. Didactic knowledge is assessed with in-module questions and an end-module mastery test and 10 corresponding SonoSimulator® hands-on scanning cases are provided per each Module. NEW modules at ISUOG Booth #114.